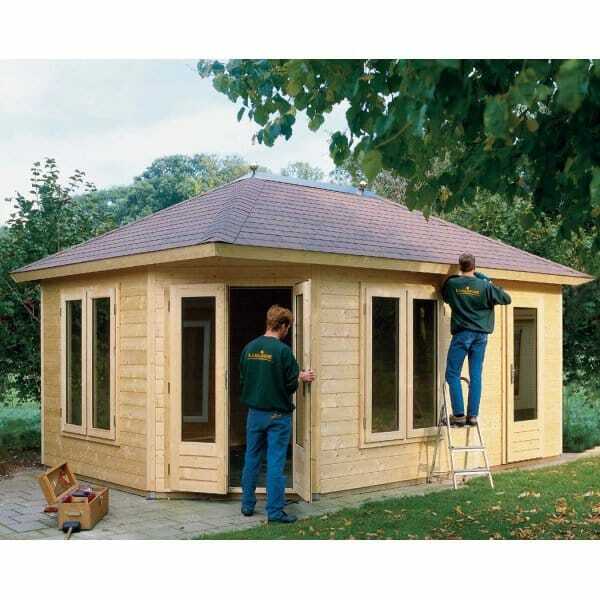 Lugarde Prima Fifth Avenue Duo Maxi XL Original: The Lugarde Prima Fifth Avenue Duo Maxi XL is quite simply one of our most popular Garden Offices having a rather more refined finish than most log cabins. It can be configured into one large room but as standard is supplied with two rooms. In the case of the two rooms it can (optional extra) have a connecting door. We can move the windows, put in extra windows etc. The possibilities are almost endless. The Lugarde Prima Original Fifth Avenue Duo Maxi XL features Double Glazing and has wall elements 44mm thick and is available from Simply Log Cabins.